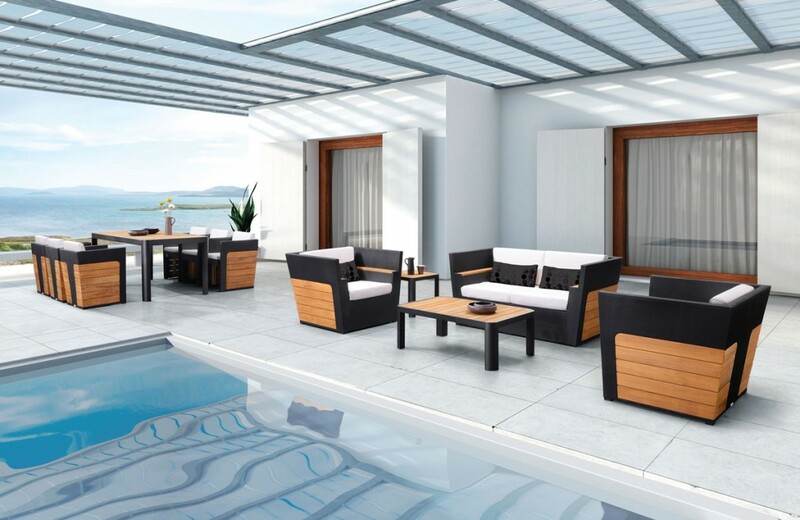 Exclusive deep seating set featuring teak wood and textilene – a high strength synthetic fabric that is UV resistant, comfortable, and easy to clean. 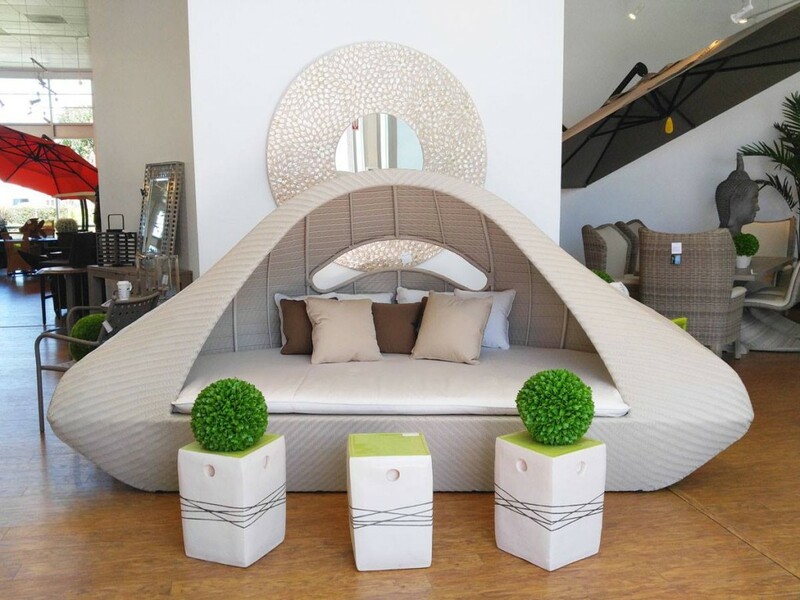 Impressive curved daybed (for large spaces only). 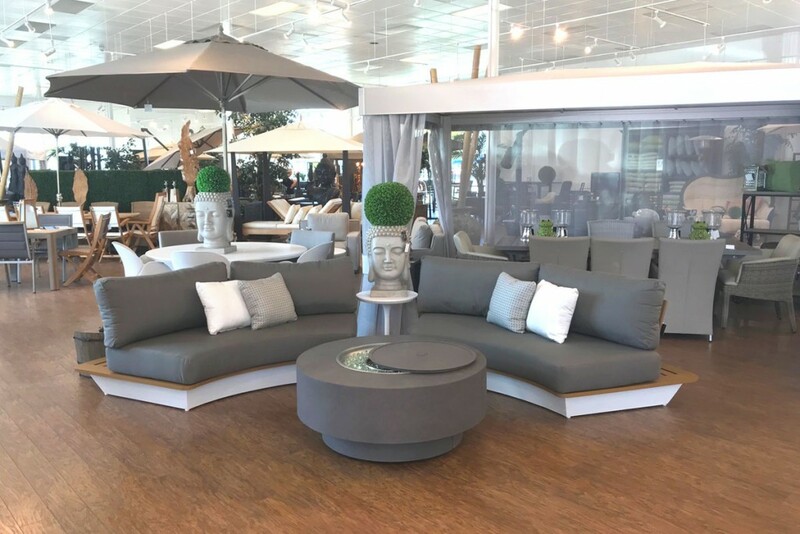 Exclusive deep seating collection featuring matte black aluminum frames, tubular grey rope weave, and Sunbrella fabric cushions. 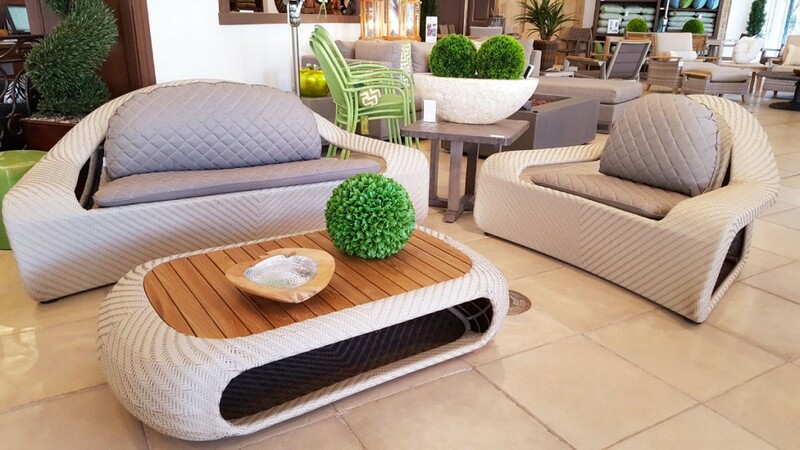 Deep seating set featuring quilted fabric seating, chevron weave, and teak table top. 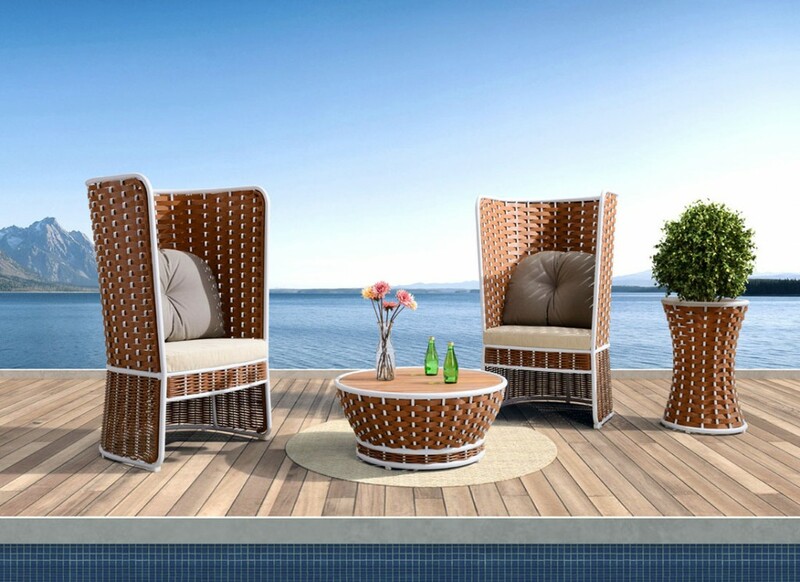 High-back lounge chairs featuring aluminum frames, thick woven rattan, and outdoor polyester fabric. 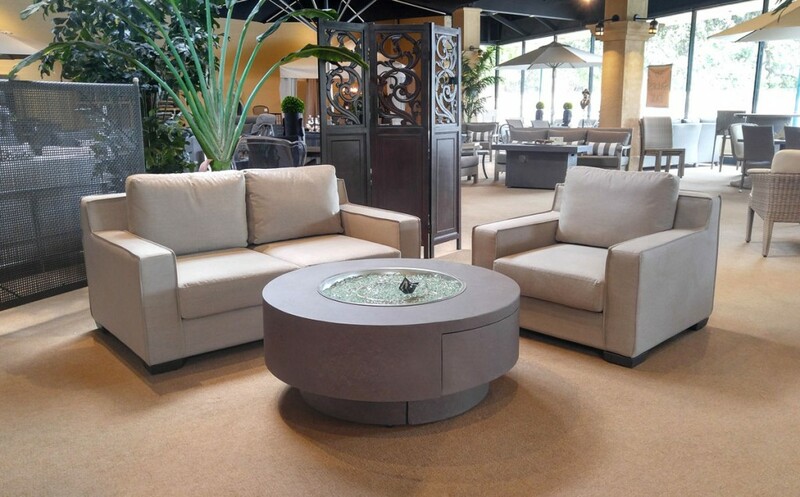 Transitional seating group upholstered Sunbrella fabric. 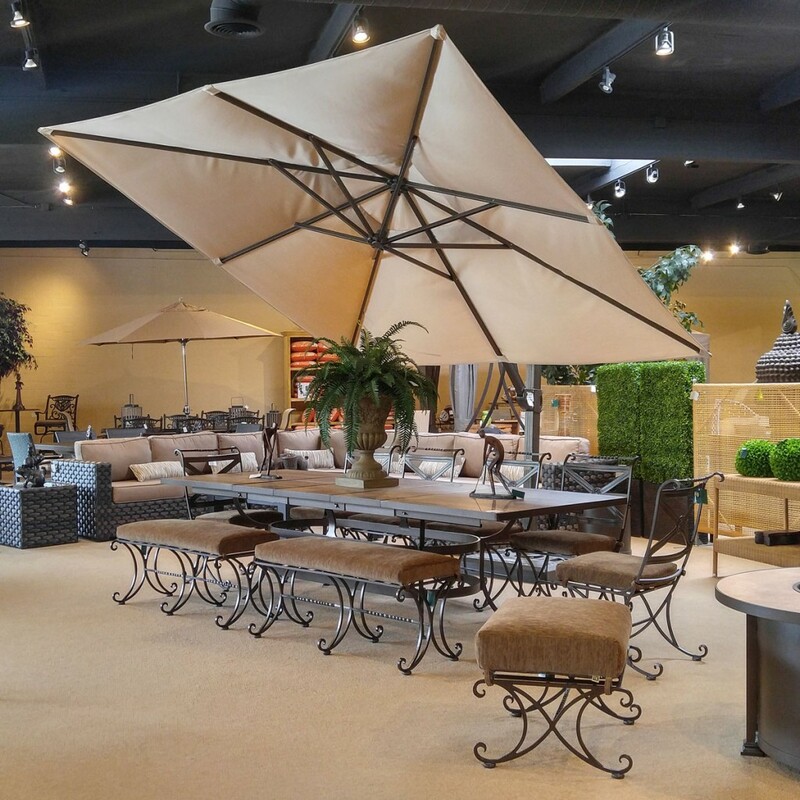 Sling chaises and bar set by Brown Jordan (limited availability). 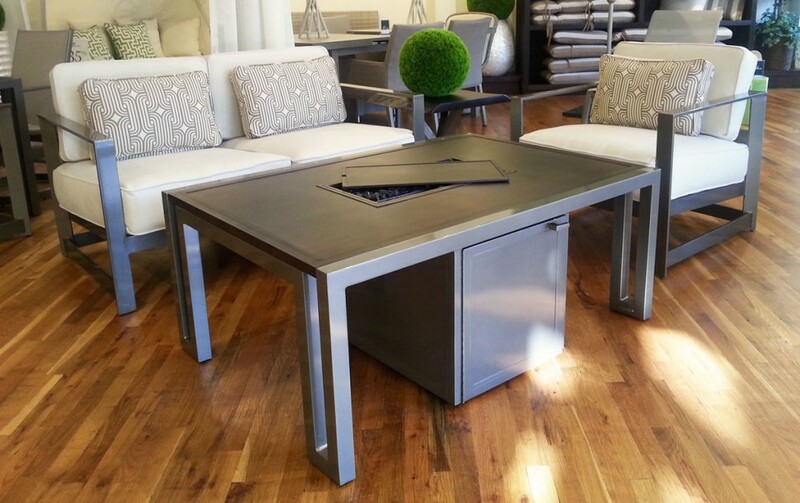 Outdoor deep seating set and fire table by Castelle. 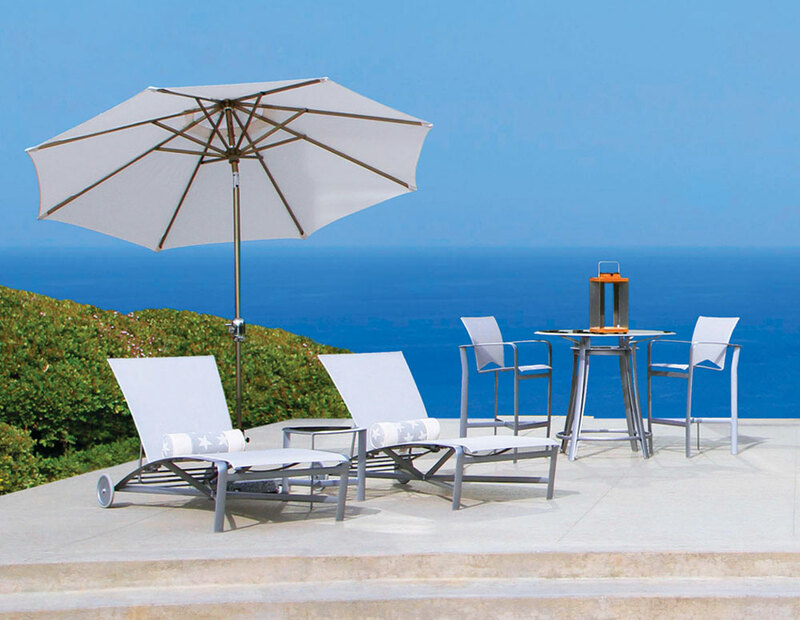 Outdoor dining set by Castelle. 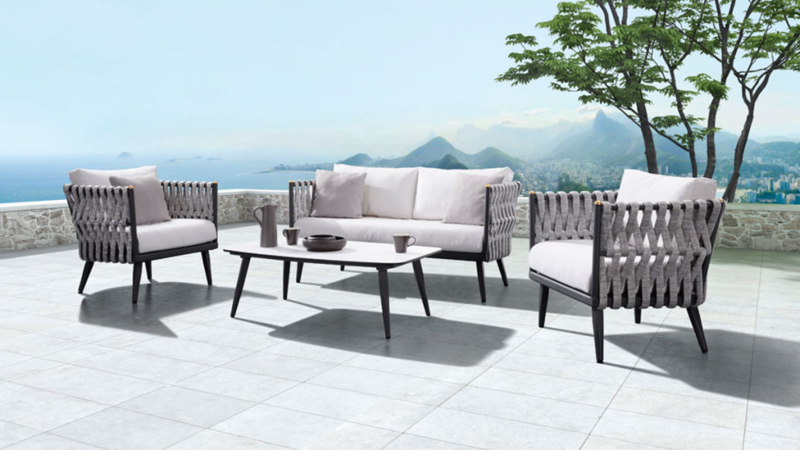 Modern deep seating collection by Castelle. 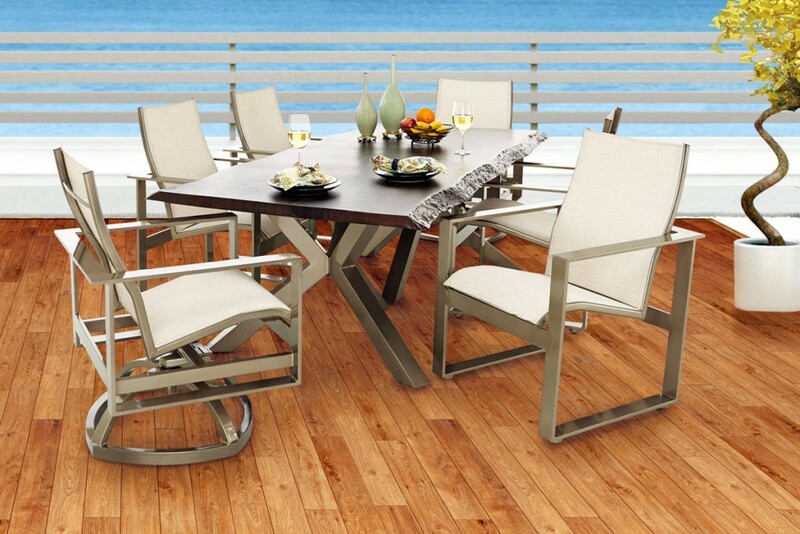 Traditional dining set by O.W. 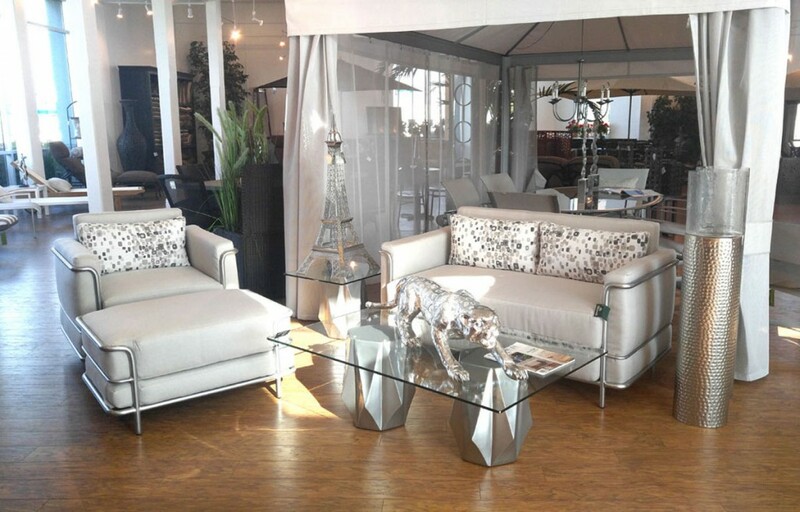 Lee (limited availability).